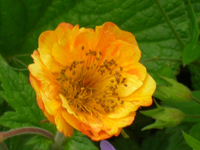 are hardy perennials with evergreen leaves. Flower colours range from white through all shades of yellow, orange, pink and red, and they may be single or double, both forms often occurring on the same plant. 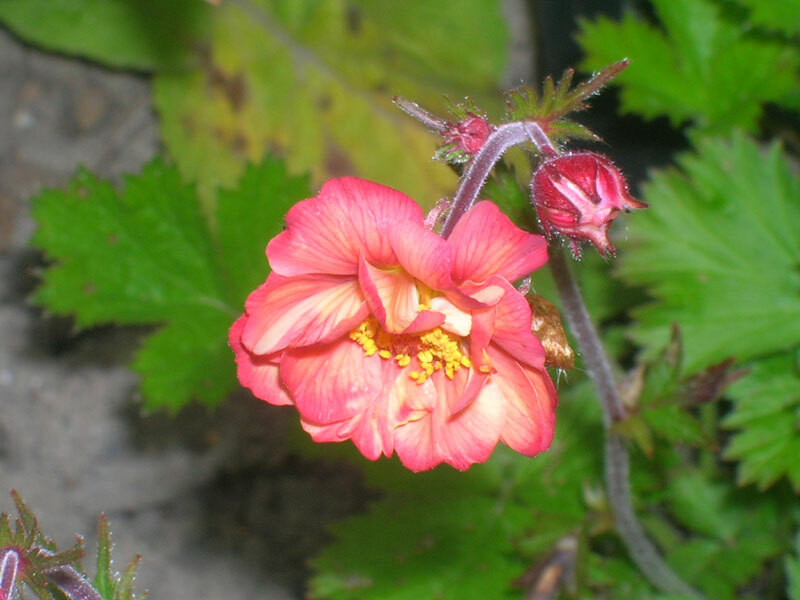 The species grow in all the temperate regions of the world, many being alpines. 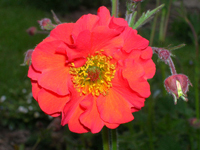 The cultivars grown in gardens fall into roughly three main groups, rivale, coccineum and chiloense. 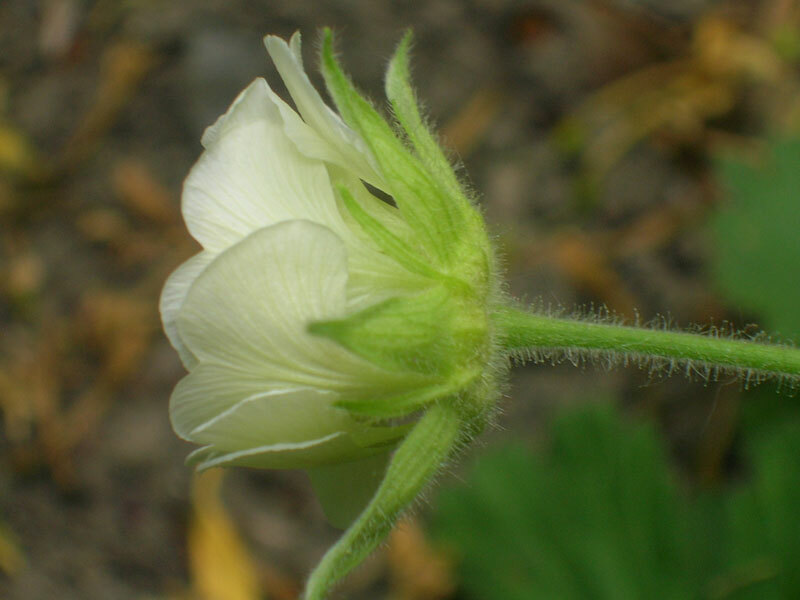 The rivale types have nodding flowers, the petals being partially covered by the sepals. 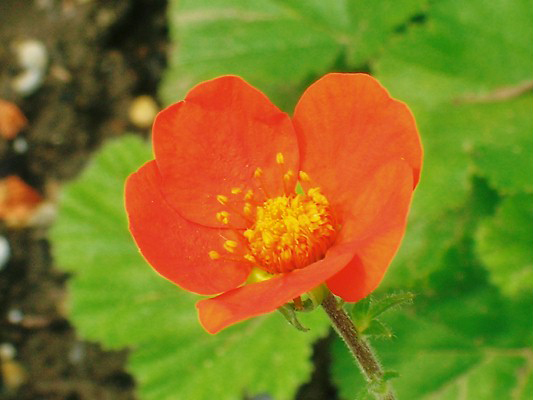 An attractive feature is the contrast between the calyx, which is often deep red, and the petals. 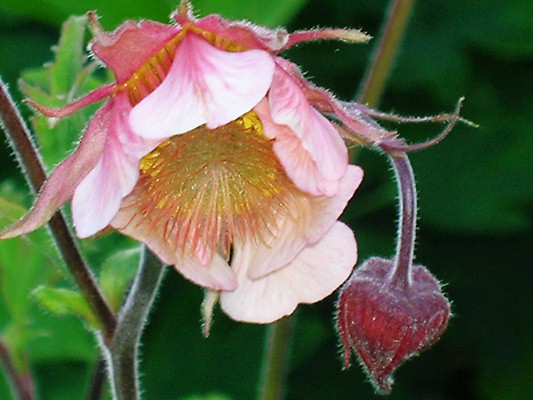 They like to grow in shade or semi-shade. 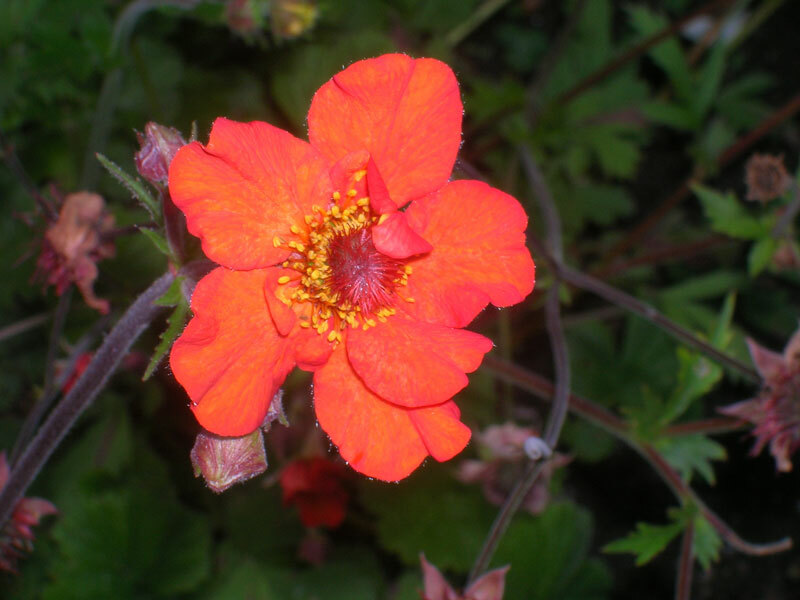 Coccineum cultivars have upward-facing bright orange/red single flowers. 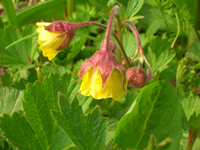 The species is an alpine plant and it has been found that they have flowered much better after the cold winters of 2008/9 and 2009/10. 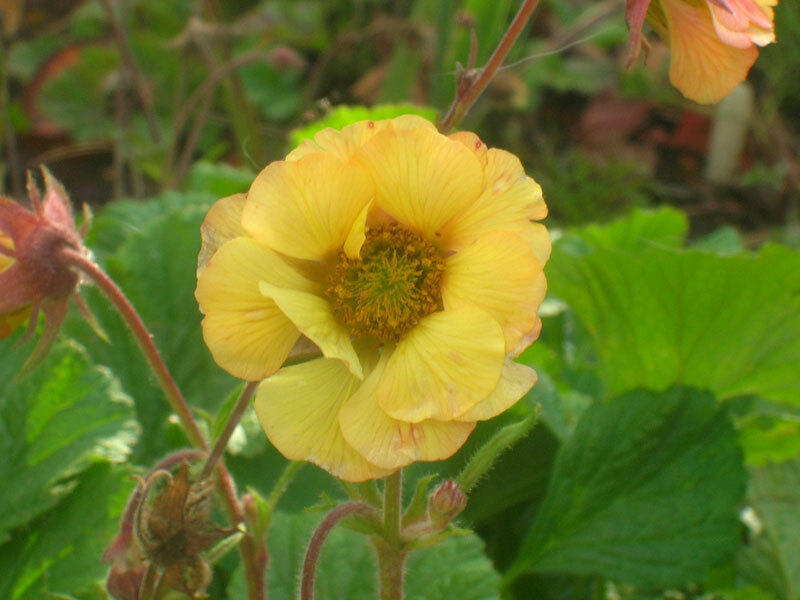 Chiloense cultivars come from the small island of Chiloe which lies off the coast of Chile. 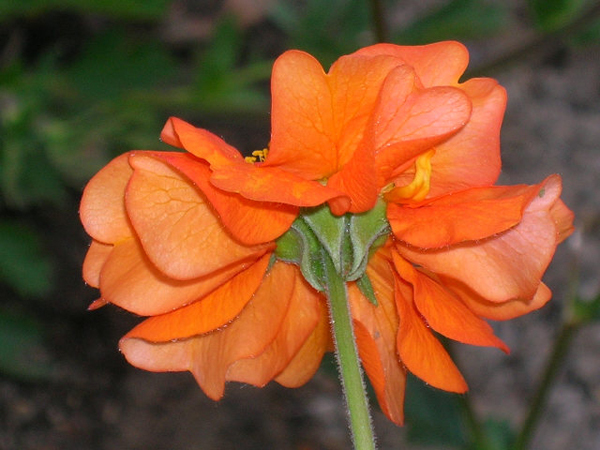 They have tall strong stems bearing large mainly double flowers and have a long flowering time. 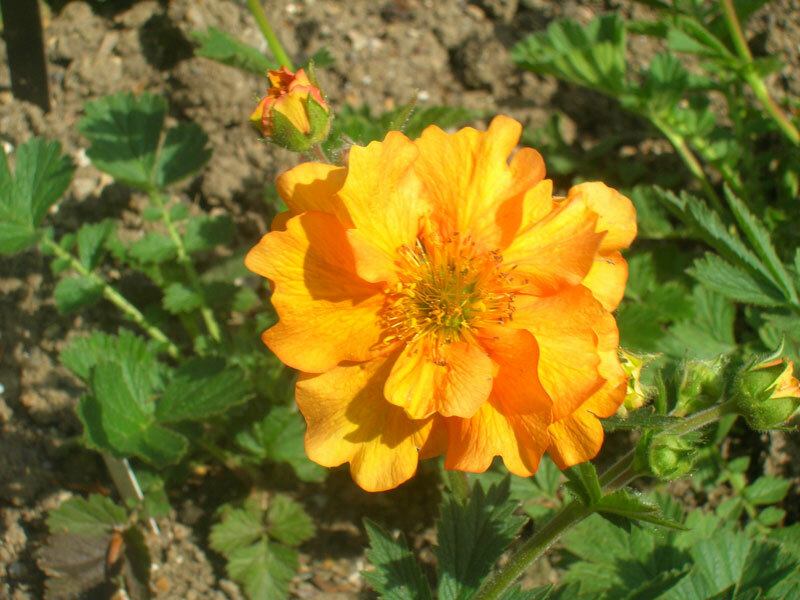 They will tolerate sun or semi-shade. All geums require moisture retentive fertile soil. 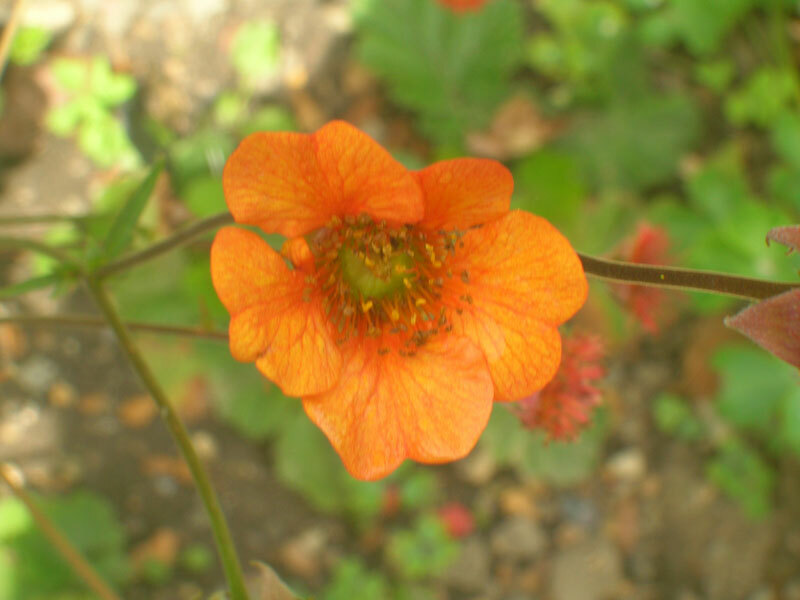 If they dry out they will die and strong hot sun will scorch their leaves. 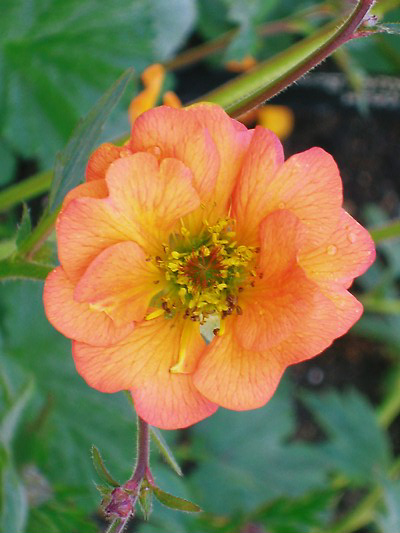 A new range of Geums is being introduced by a nursery in the USA called the Cocktail Range. 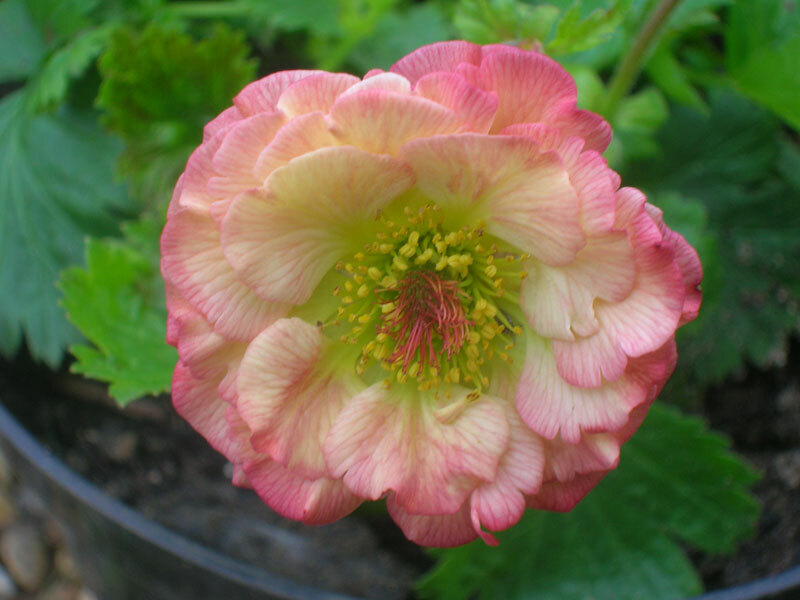 So far we have acquired 'Alabama Slammer', 'Cosmopolitan', 'Gimlet', 'Mai Tai' and 'Tequila Sunrise'. They are all very attractive with double flowers and grow to approximately 30cm. 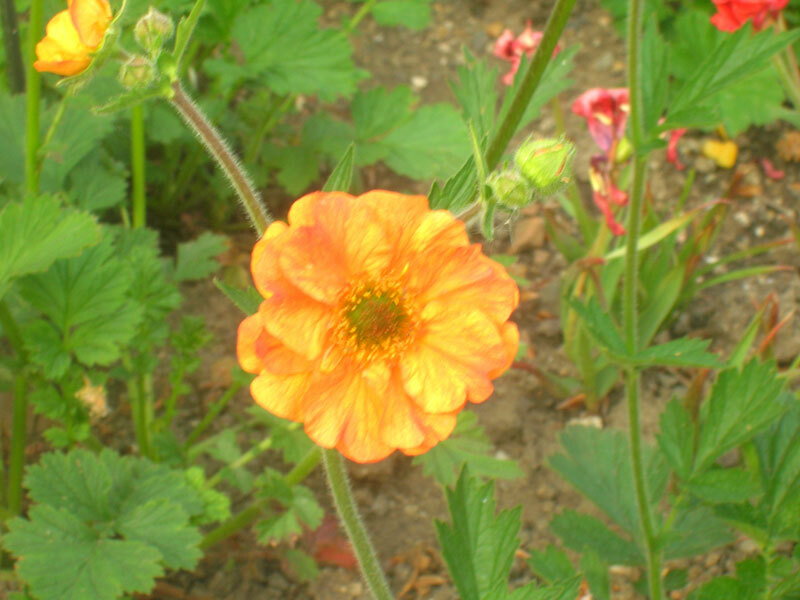 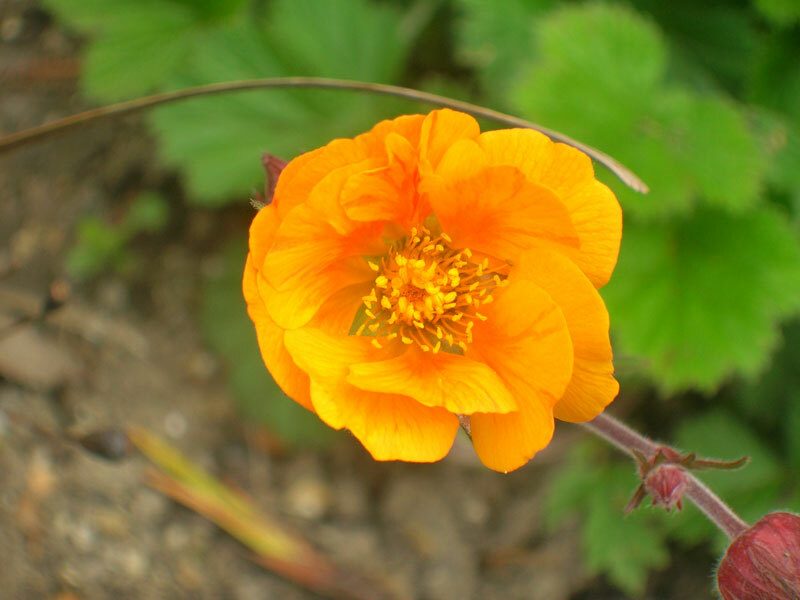 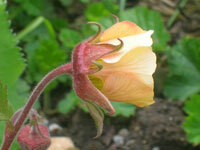 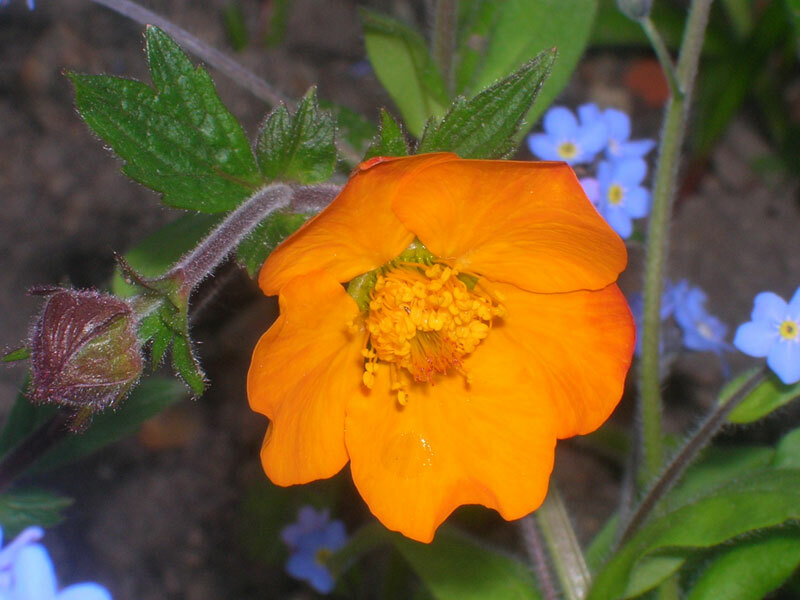 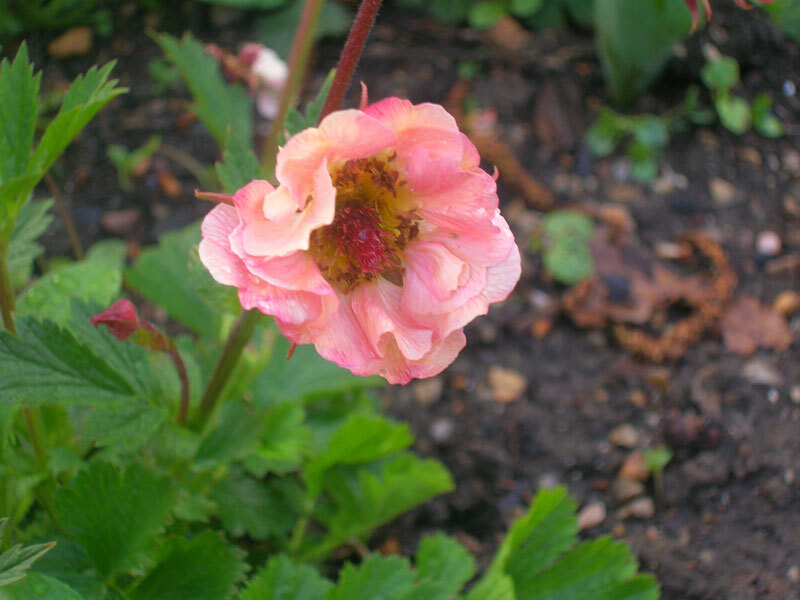 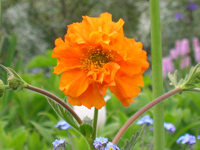 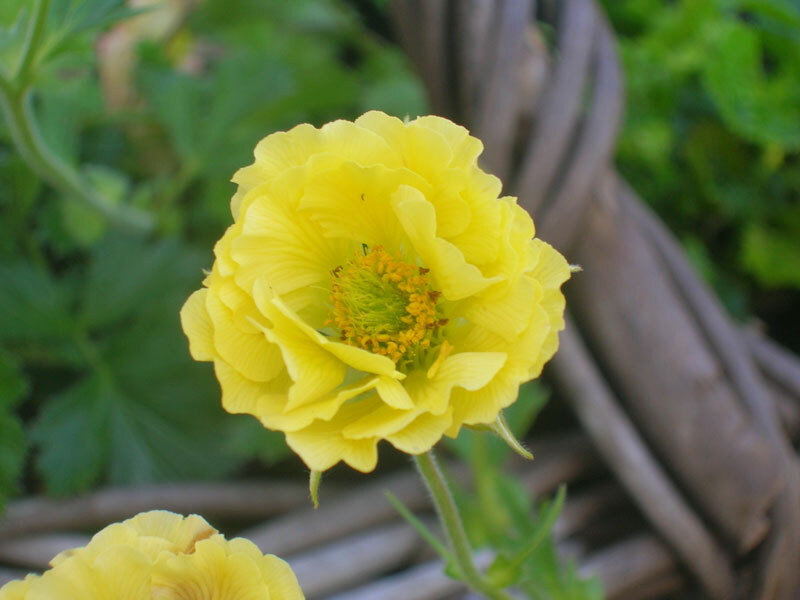 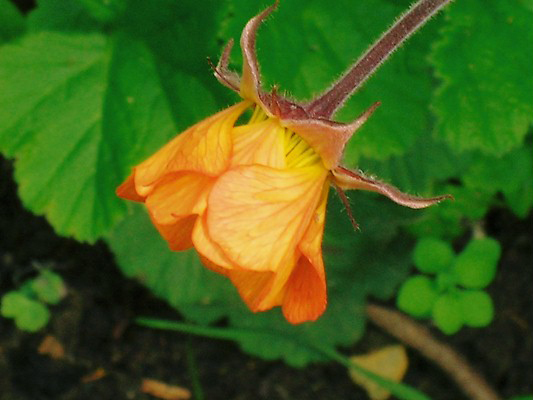 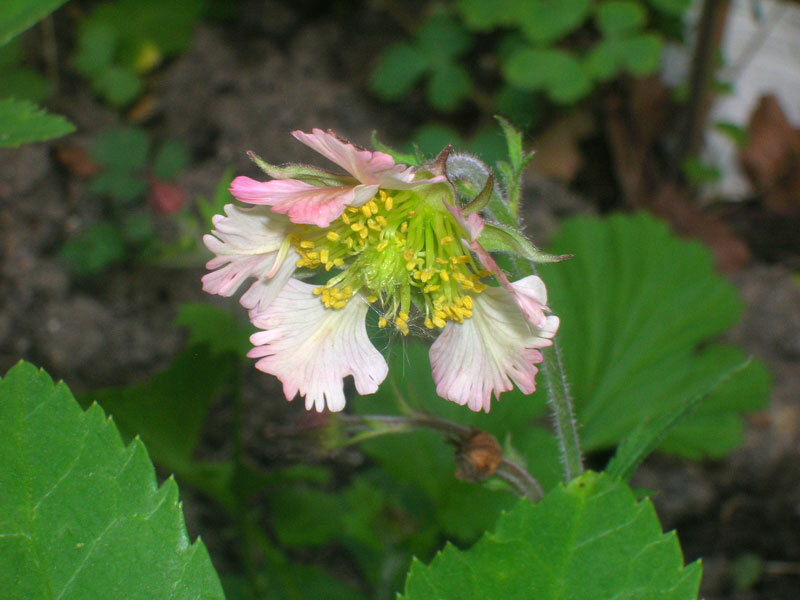 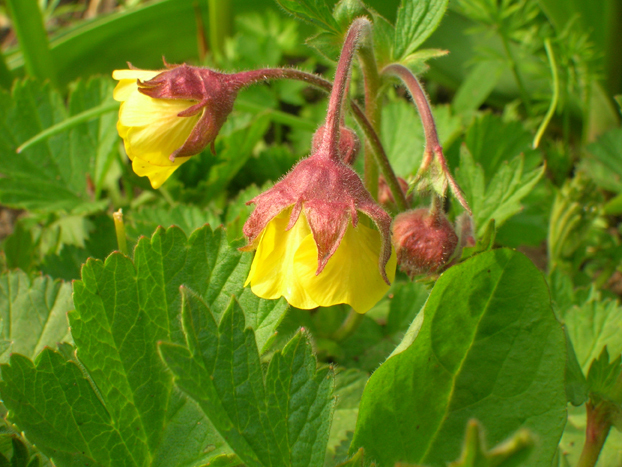 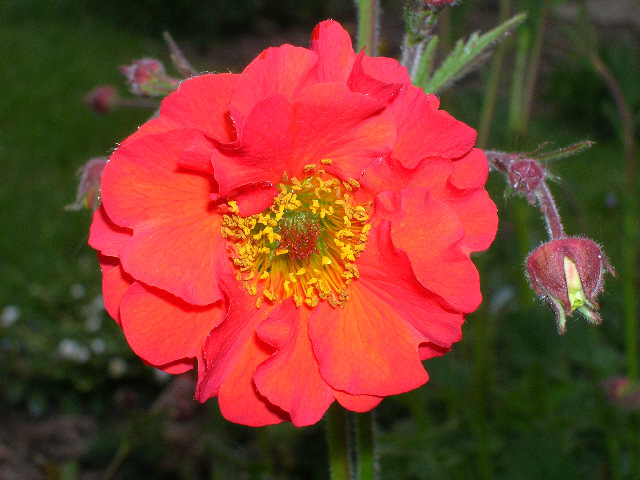 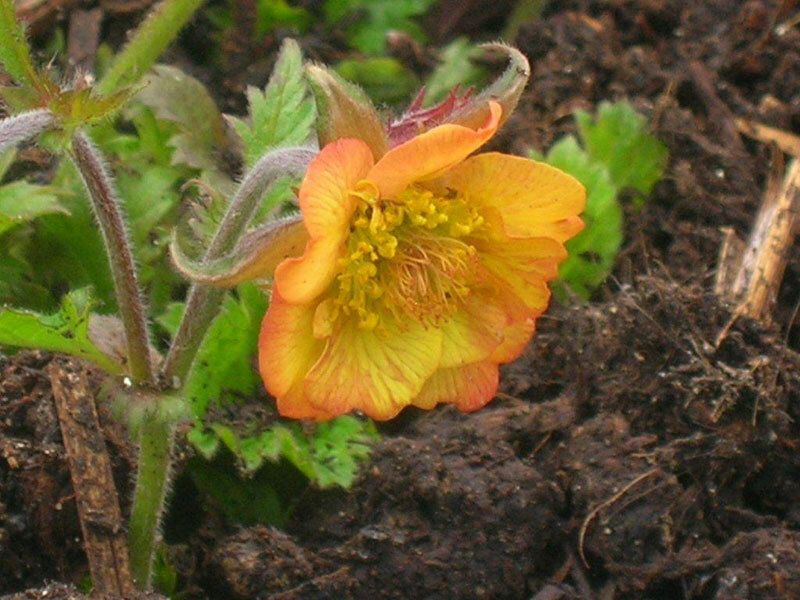 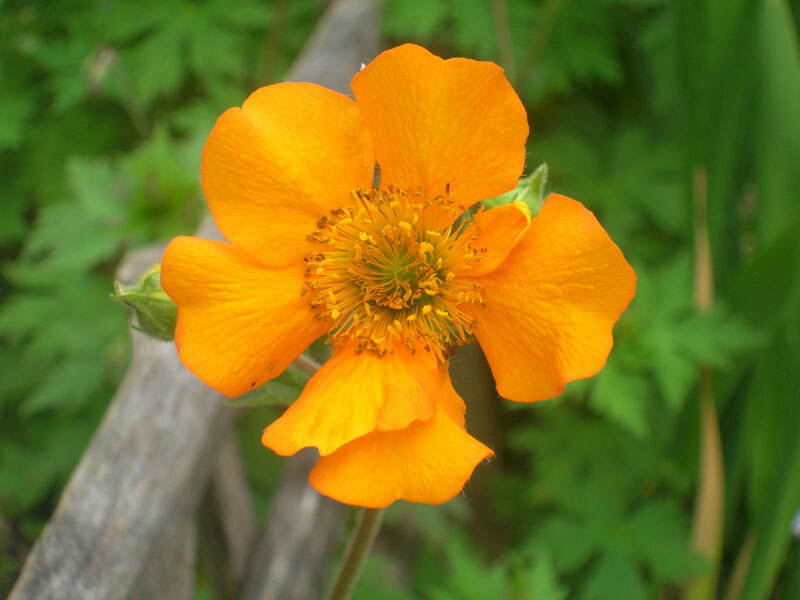 Further information can be found in my book "Geum" published by Plant Heritage.